Being judged by another is hard even if it may be justified. These five essentials will prove helpful in finding purpose in the criticism. 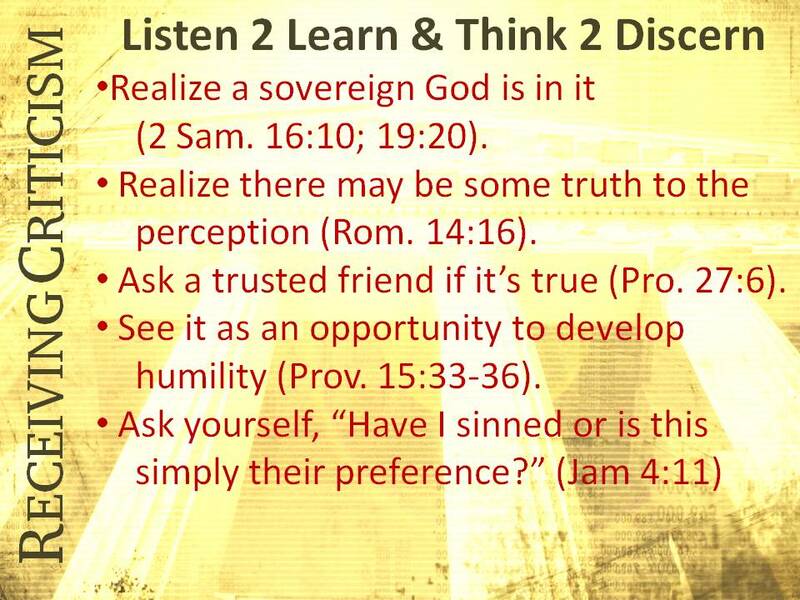 (1) Realize a sovereign God is in it (2 Sam. 16:10; 19:20). Even when the criticism is unjustified a sovereign God can still use it for our good. King David reveals this truth when he comes under harsh critisicm from the relative of an earlier king. David is fleeing for his life from a rebellious son. As he leaves Jerusalem a man by the name of Shemei is calling down sladerous curses upon him. While these are unjustified, David’s response is remarkable: Perhaps the Lord will see that I am being wronged, and bless me because of these curses today (2 Sam. 16:12). On a difficult day David accepts unjustified criticism because of his trust in a God to make all things right. (2) Realize there may be truth to the perception (Rom. 14:16). Paul reminds us that even those things we intend for good can be spoken of as evil (Rom. 14:16). Rather than have a defensive spirit, we would do well to consider if there might be some truth to another’s perception. Don’t be afraid to make necessary changes to your actions or your words. (3) Ask a trusted friend if it’s true (Pro. 27:6). Faithful are the wounds of a friend; but deceitful are the kisses of an enemy (Pro. 27:6). Do you have a good friend who isn’t afraid to tell you the hard truth? Then ask them if the criticism is justified. Bring a listen-to-learn attitude when they share. A good friend’s intentions shouldn’t be under fire even if wounds have to be given. (4) See it as an opportunity to develop humility (Prov. 15:33-36). Even when the criticism is unjustified it becomes a really good opportunity to grow in humility. This question has been freeing for me as a growing christian. It gives me the opportunity to evaluate criticism through a Biblical grid. It’s so easy for any of us to elevate our preference to the level of the Scriptures. When it comes to evaluating another, I don’t want to hold them to the standard of my preferences. 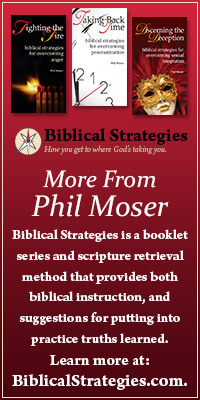 To do so is to actually down play the role of the Scriptures in my life. This question is one that I first ask myself when I face conflict, but I have also learned its benefit in clarifying where wrong doing has taken place. Perhaps the individual bringing the criticism has brought sin-level-intensity to a preference-level-situation. Simply asking them where I sinned is a question that clarifies this difference. This entry was posted in Judging others and tagged how to overcome a critical spirit, negativity, what to do when people condemn us.